Family Hazel Chandler is the proud mother of two children Richard and Jennifer and a foster daughter Beth. Her son Richard is happily married and has four boys. Brandon the oldest is in the Air Force stationed in Okinawa, Japan. Eric is engaged and will marry Becky in November. Ryan is 16 and will be a junior in high school and Trevor 13 will be in the 8th grade this fall. Her daughter Jennifer lives in Prescott and is the Operations Director for a national environmental non-profit. She has spent most of her adult life as a teacher in high school/college and currently teaches art to elementary school children. Beth is happily married teacher with two amazing children Maddie (15) and Ben (13). Education Arizona State University, Bob Ramsey School of Public Affairs, Certified Public Manager Program. Completion June 2012, University of Phoenix, Phoenix, Arizona: M.A. Management, San Diego State University, San Diego, California: Graduate work in Child Development and Family Studies; B.S., in Child Development and Family Studies; Minor: Education, Sociology and Psychology. Work history Hazel Chandler has dedicated her life to listening to the community and helping to solve difficult challenges facing Arizona. She has background in government, non-profit and business working with people of all ages, ethnic and cultural background, including early childhood, primary education, health care, social services, mental health and environmental as well as regulatory and financial management. Work experience includes Regional Director for First Things First, Director of Maricopa Asthma Coalition, Director of Health Care Licensure and Medicare Certification. She started her work life as a teacher and has held leadership positions in the areas that are most critical to Arizona’s Future. She currently on the National Steering Committee for Elders Climate Action. The residents of LD20 need a strong women’s voice with a track record of collaborative leadership to represent the needs of our children and families. Now is the time to elect fresh leadership that will place our children and future generations first. Our decision-making process on critical issues is of the utmost importance now. As a certified public manager, I bring extensive work experience in early childhood, education, healthcare, environmental justice and behavioral health. I have come to realize that the greatest challenges we face in Arizona are human issues, not partisan issues. When we work together and find common ground, we find solutions that work for all of us. I am a strong voice for teachers and children. I will work to build a strong, sustainable economy where our children will benefit from clean air, water, and food. It is our moral responsibility to insure everyone has access to affordable health care. Together we will build a strong Arizona for all of us. The first priority must be a pay-raise for teachers, recognizing there is more to schools than teachers in the classroom, this includes counselors, nurses, therapists, paraprofessionals, and many more, as well as, the support staff and building maintenance. My deepest concern is there appears to be no long-term source of funding beyond current mechanism of property taxes. Education must be one of our highest priorities – A well-educated workforce is critical for the Arizona’s future economic health. I am an advocate for teachers, counselors, therapist and classified support staff. I am an advocate for safe school environments and small class size. We must also find ways to bring innovations and creativity back into our educational system by focusing on the needs of the whole child not just standardize testing outcomes. One of the ways to accomplish these objectives is support for the Invest in Ed initiative as a way to acquire sustainable school funding sources. In all budget discussion, education must be a priority. We need to bring community stakeholder including parents and teachers together and have discussions around real non-partisan solutions that will fully fund education for years to come. Only when we have stability in educational funding will we give our children the education they deserve and ensure the future economic viability of our State. No - Charter schools need the same level of accountability and transparency as public schools. I am especially concerned about the lack of fiscal oversight of the charter schools. School closure that happens during the middle of the school year are very disruptive to the children’s learning and place unfair burdens on local school districts that are required to accept these children without adequate funding. I am proud to be designated as a Mom’s Demand Action for Gun Sense Candidate. I will fight for common sense gun reform to insure safety is the first priority throughout our communities. I will propose common-sense legislation to include the following; universal background check for all gun sales, minimum age of 21 for purchasing guns, banning bump stocks, red flag laws, bans on assault riffles while retaining the rights of law-abiding citizens to own guns. I am deeply concerned with efforts to arm teachers. We must push for common sense guns measures, as well as, engage in the difficult conversations on how we can provide our schools with the tools/time to develop strong social-emotional skills in their students. Research shows strong social-emotional skills in children are one of the best measures to prevent violence. We must look at the core issues that are contributing to the to school violence. We need to reduce class size allowing teachers the time to intervene with children showing concerning behavior. We must staff our schools with trained and certified counselors, trauma specialist and nurses to allow early intervention with children to develop resiliency in response to troubled home life. Even more important we must use our moral compass to reevaluate our fascination with violence. It is imperative to look at the impacts of repeated exposure to violence in movies, TV and video games when the child’s brain is developing. Since the early 90’s in Arizona, our legislature has focused on tax cuts for business and the most affluent individuals in the State. This has impacted our ability to provide the basic services needed to ensure quality of life for Arizona’s residences. The trickle-down effect of tax policy has not worked as promised. Currently over 25% of our residents are living in poverty, and the middle and lower income earners are picking up a greater share of the tax burden. I will propose a complete review of tax policy and require sunset reviews, at least every five years, to all tax cuts especially for business. Yes – Decriminalizing marijuana is a first step in reforming our criminal justice program. Marijuana has been shown to be effective in treating numerous diseases, as well as, helping in the treatment of opioid and other drug addictions. Taxes on marijuana have been an important source of revenue for surrounding states and could assist with critical funding for programs such as substance abuse treatment and education. I believe that women should have the right to make choices with the assistance of the doctor regarding reproductive healthcare. I do not think that the state should restrict this right of women. Water is a critical issue for Arizona. The management of our water supply is critical to giving our children a livable future. In fact, the Phoenix area is considered one of the most at-risk areas for Climate Change impact. While the impact in many communities is too much water, in Arizona, the lack of water could threaten our way of life in the desert. While Arizona has been at the forefront of water conservation, we must do more. Years of drought and lack of snowpack in the mountains has impacted both our water levels in our lakes as well as our groundwater. We must properly fund the Water Infrastructure Financing Authority so that we can maintain and improve our current water infrastructure. We also must gather all of the stakeholders to develop together a comprehensive plan that allows water availability for public use as well as for agriculture and industry. Conservation at all levels must be a priority. Yes, I believe that every citizen deserves equal rights and respect. I deeply believe our state is strongest when we come together, listen to each other, and respect our differences. I will listen to community members and community organizations in an effort to learn and understand the needs of the community and will apply changes to current policies when I'm elected. – Every person deserves to live free of discrimination. Absolutely not. We live in a country founded on religious freedom and the respect for our religious differences. In Arizona we are uniquely positioned as a leader in the transition to sustainable energy. We have unlimited year-round sunshine and great open spaces. We have made substantial progress, but policies have limited Arizona’s influence in the Global Sustainable Energy market. Arizona should be the leader, but we have allowed the monopoly of oil and gas industries to enslave us. Fossil fuel is hindering our progress toward a sustainable future. We must commit to developing a sustainable economy with a priority on providing an incubator for innovative approaches to energy production, transportation, agriculture and other sustainable technologies. This transition will expand good paying jobs in the state. As we transition to a sustainable economy, we must focus resources on educating and retraining our workers for our changing work environment. I will fight to insure Arizonans earn a livable wage. We will attract new good-paying jobs and protect union rights in our state. I do not support the expansion of the Empowerment Scholarship program. In fact, I think the legislature needs to take a serious look at tax credit programs and the impacts they have on the ability of the legislature to make the best fiscal decisions for the people of Arizona. We must vote no on Proposition 305. The expansion of the voucher program to all students beyond the original intent to help special needs populations, is draining money from state revenues critical in fully funding our public school system. Arizona must have a safe and secure border, but the current policy of building walls and tearing families apart is not the answer. Immigration over the southern border is at one of the lowest levels in years. Many of the families are legally seeking asylum in our country fleeing for their lives from violence in their own countries. Removing children from their parents is not humane and should never happen in America. Arizona needs to take a strong stand in not supporting this separation of children from their parents. Let’s stand together for the children. We need to develop a comprehensive immigration policy that addresses our need for workers especially for agriculture while protecting the safety of our citizen. We must push for a comprehensive immigration reform plan that provides a path to citizenship for our young people brought here as children. We should not tolerate sexual harassment at the legislature or anywhere else for that matter. While I was encouraged by the recent move to remove a member of the legislature for sexual misconduct, I am deeply concerned that he again is running for office. We must have a zero tolerance for sexual misconduct in our government and business. Creating a livable and sustainable future with clean air, water, and food supplies, while being proactive to address issues of climate change must be the context in which we make all our decisions. Health Associations in Arizona/America understand the urgent need to transform society’s understanding of children’s environmental health and place children at the forefront of society’s conscience and thinking. Science shows climate change today is creating irreversible and severe harm. We know children suffer more harm from exposure to pollution and toxic substances. Early life exposures are risk factors for chronic disease such as diabetes, obesity, cardiovascular disease, cancer, asthma, neurological and reproductive health disorders. The 2015 Lancet Commission on Health and Climate Change concluded that addressing climate change is the greatest public health opportunity of the 21st century; failure to so could undo most of the progress made in global health over the past century. I am extremely concerned about my children’s and grandchildren’s future. I recognize that climate change poses a threat to the health of our citizens, our economic growth, our reputation as a world leader and our national security. As your representative, I will move our state to act with urgency to transition to clean, renewable energy policy that will avoid the potentially devastating social, economic, and national security impacts of climate change. I will support collaborative efforts to develop long-term solutions to the climate change and environmental issues such as air, water, rising temperatures and drought conditions while developing a sustainable future for Arizona. I believe this will support economic growth by stimulating technological innovation, development of a more resilient infrastructure and increasing domestic employment. Absolutely, we must accept this money - I have worked in early childhood education, child care licensing, First Things First and other early childhood programs for over 40 years. Funding for childcare has always been a huge issue, with lack of funds to provide adequate care. Funding for the Department of Economic Security, child care assistance, has not increased since 2000. As a result, many lower-income families cannot afford to place their children in a quality educational setting. Many families depend on family, friends and neighbor care often resulting in children with lack of stability in their early childhood environment which often has a long-term impact on the child development and success in school. Worse yet many families leave children in the care of school-age siblings or worse yet home alone. We must change this and make our children’s future a priority. For children whose parents are unable to care for their needs, kinship care is a great alternative to foster care. I have seen in my work with the social network of this state the struggle of these caregivers in providing stability for these children without necessary financial support. The reduction of this financial assistance due to state budget cuts has impacted the ability of families to provide care for family members and has increased the number of children in the foster care. Research clearly shows that kinship care is the best option in most situations for the children. Grandparents living on social security cannot take on the support of one or more grandchildren without some other means of income. I would support changes to eliminate bureaucratic and statutory barriers to provide financial resources to bring stability to the children they are raising including raising the money paid to relative caregivers. What makes me the best candidate is that I am the product of public education. I have a family full of teachers. That’s why I have been an advocate for public education since the beginning. I’ve gotten out the vote for bonds and for overrides from South Phoenix to Glendale, and have volunteered for every education initiative I could find. But I wanted to do more. That’s why I ran for the State House in 2016, losing by just 3 percent. But I also want to support our small businesses in Arizona. I ran a business development resource for many years, helping build business between the entrepreneurs and the law firms. Now, I want to put that experience to use in LD 20. Finally, we need a transparent government and elected officials that are held accountable. I was a newspaper editor prior to being a lawyer. I followed the dollars and tracked the impact it had on politicians. Yes. But it's just a good start. We need designated funding sources, not just promises, in the areas of safety, personnel, facilities, curriculum, and technology, especially in joint technical and career education (JTED and CTE) so students graduate ready to enter the workforce. Some specific items I want to advocate for are: 1. Implement full-day kindergarten and expand pre-K. 2. Provide competitive teacher pay. 3. Ensure that basic facilities standards are fully funded. 4. A full and transparent audit and review of the current corporate tax credits for School Tuition Organizations. 5. The Charter School Oversight Board must have the authority to hold charter schools to financial and academic standards through serious enforcement mechanisms. 6. Expand Arizona’s teachers’ academy. I believe everything “should be on the table” even if Invest in Ed passes because that initiative would only fund up to 70 percent of our schools’ needs. I favor looking into comprehensive tax reform as the way to close loopholes to address the funding disparity facing our schools. There's no reason there should be tax breaks for things like 4-inch pipes or private jets; and that money could be used to fund education. Furthermore, we don't need to spend so much on private prisons, and that money and those facilities should be accountable to the public. No. As noted above, the Charter School Oversight Board must have the authority to hold charter schools to financial and academic standards through serious enforcement mechanisms. I believe in common-sense gun reform, and I think these policy ideas would be a good start. There are many solutions that should be on the table on this front. First, we should acknowledge that our legislature has underfunded our school system for a decade, starving out would-be teachers, counselors and school resources officers. These resources should be restored. Secondarily, I am not opposed to solutions that include metal detectors and strategic points of entry into our schools. Certainly, I think tax cuts that pay for themselves over time should be implemented. We have a vibrant tech economy growing inside of Arizona and I want to help it grow through R&D tax credits. And for our mom-and-pop and family-owned small businesses inside of LD 20, I want to work to find solutions to help with our trades, our contractors and other skilled workers like home care workers. Most of all I want to help our small businesses survive and thrive long past their ribbon cutting and pass legislation to help young entrepreneurs be successful at following their dream. I'm in favor of the compassionate care use of marijuana and think we can expand the system to include the recreational use of marijuana. However, there should be a greater regulatory burden on the potency, production, distribution, marketing and accessibility of the product, in all its forms. No. The government should have limited access to the relationship between a woman and her doctor. Arizona should be banking its water for future use, especially utilizing underground aquifers and recharge systems. Yes. Discrimination of any sort should be deterred if not removed by law. No. I think the recent Supreme Court opinion in Masterpiece Cakeshop decision reports that the right to the free exercise of religion is not absolute and can instead be limited by neutral laws that apply to everyone. That neutrality is what government and our laws should aspire to. First, the key to promoting a vibrant economy with good quality high-paying jobs is a universal good quality education system. I want to build on public-private partnerships across Arizona. That could be in our high schools, with mentorship and career and technical education program, but also within our universities. I want to bring together all stakeholders so that we can create long-term and sustainable solutions that will empower our local businesses, offering tax breaks where appropriate like in the R&D and tech sectors. With Arizona being a border state, I think we need to think about ways we can leverage our 21st Century technology with increased border patrol. I’m in favor of some degree of protections of our borders and customs, but not something that can be simply tunneled under or climbed over. No, I think a comprehensive policy on sexual harassment at the legislature (and the workplace) should be implemented. This would include review of items like a code of ethics, professionalism and conduct. There needs to be more attention paid to transparency, accessibility and accountability within our government. 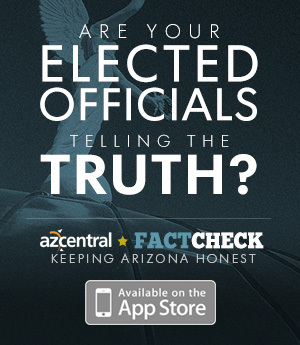 As a former newspaper editor, I think there needs to be more sunshine in Arizona government, not less. Two main tenets of my campaign are 1) education funding and 2) government accountability. We're at a crisis for education funding, and it affects nearly all sectors of our economy: business relocation, worker readiness, tax base and health care, among many others. That is why I have spent so much time with education initiatives across the state, from South Phoenix to Glendale. Secondly, as a former newspaper editor, I care deeply about accountability and transparency in government. Money, especially untraceable money, has a corrosive effect in politics and clouds the true nature and motivations behind policy-making. I'd like to bring more sunshine to Arizona government, not less. Yes, I think lawmakers ought to allow the state to spend the $56 million on federal aid for child care costs for the working poor. These funds have a direct impact on working families and their ability to maintain a job, attend schools, and pay taxes. I think they should be paid the same, especially if it is for equal responsibility, and the state has some role to play in that.